Whose ready for spring? Last night I slept in a jacket, leggings, and socks along with my pajamas. When it's really cold outside, I crave warm comfort foods, like soups, stews, and pasta. Of course I always crave chocolate, but you can't eat chocolate for dinner. 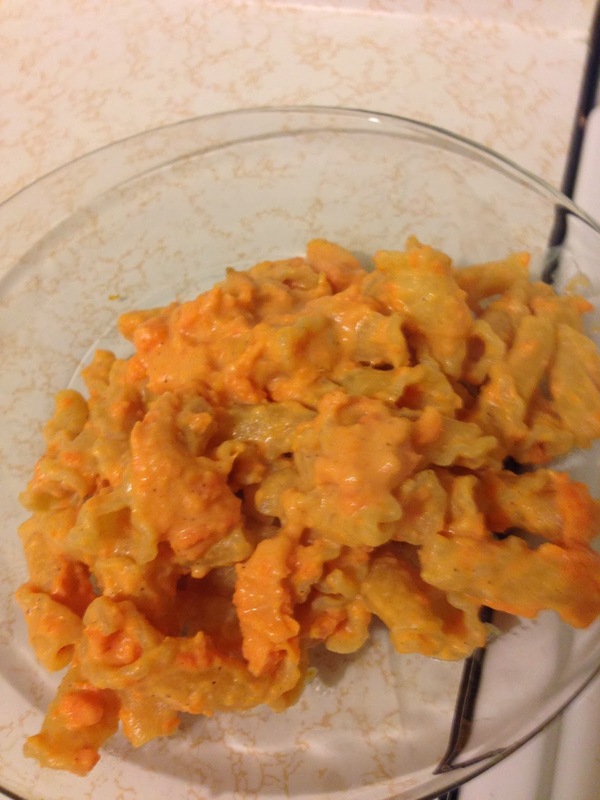 The ingredients for this recipe are a box of pasta, 1 large sweet potato, ¾ cup cream, ¼ cup milk, 1 teaspoon salt, 1 ½ teaspoon garlic powder, 1 teaspoon cinnamon, and ¼ teaspoon nutmeg. 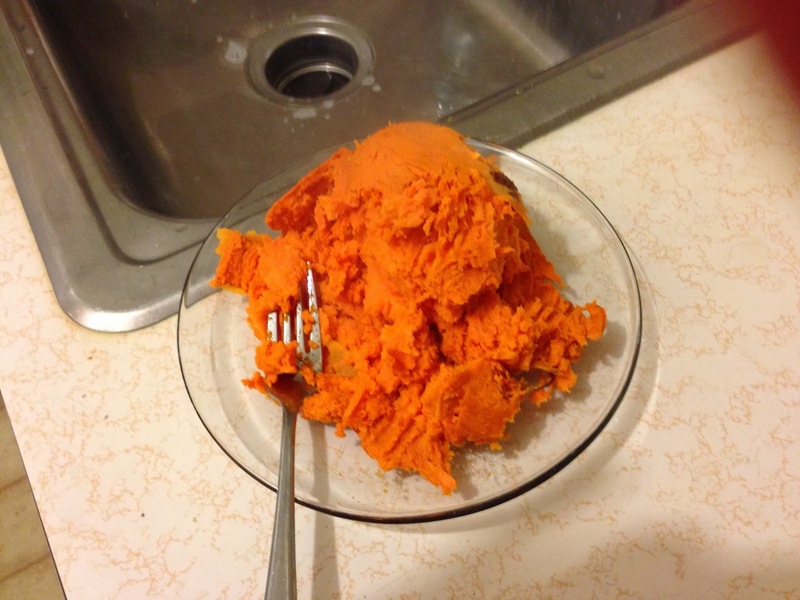 I first cooked a sweet potato, peeled it, and mashed it up. I cooked the potato in the microwave. 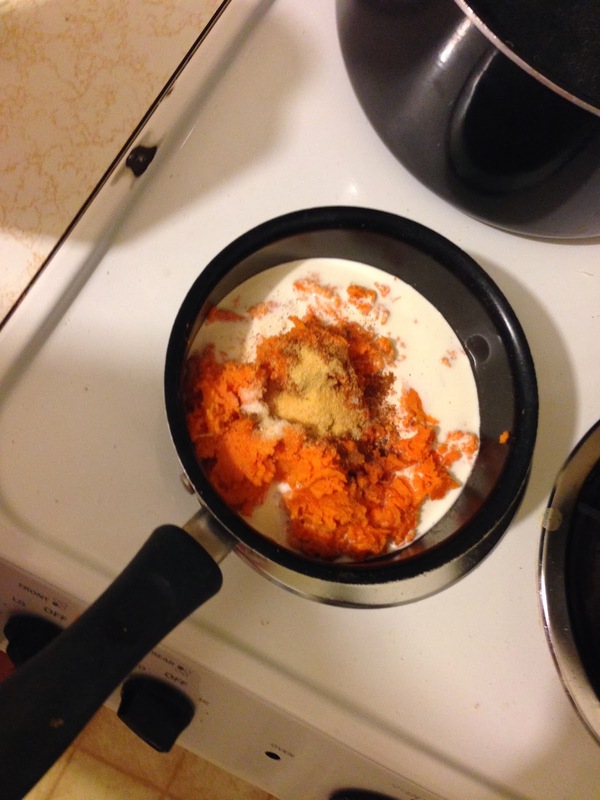 I put the mashed up potato in a pot with the milk, cream and spices. I added the milk last. I added a little at a time until the sauce was the appropriate consistency. I ended up adding ¼ of a cup, but this amount can vary depending on a person’s preference. I cooked the sauce on low heat while the pasta cooked. When the pasta was done, I drained it. I left a little pasta water in the pan and added the sweet potato sauce. 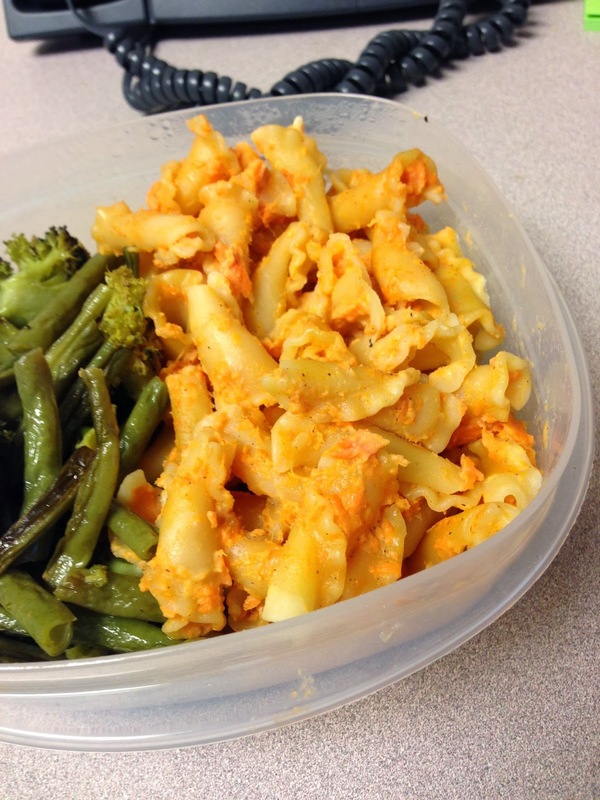 This pasta was flavorful and creamy. I enjoyed the blend of spices. They were nutty and homey. The sauce had a fair bit of texture. 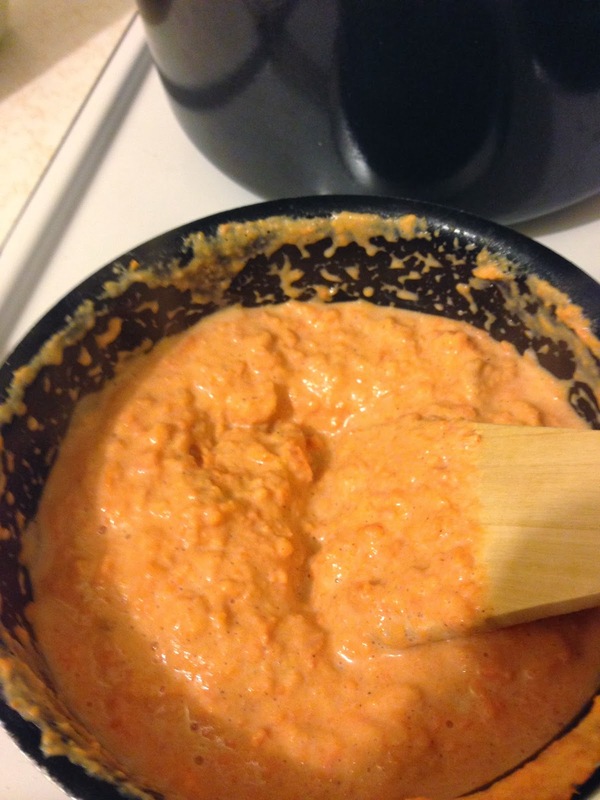 If I had a food processor, I would have blitzed it a bit for a smoother sauce. 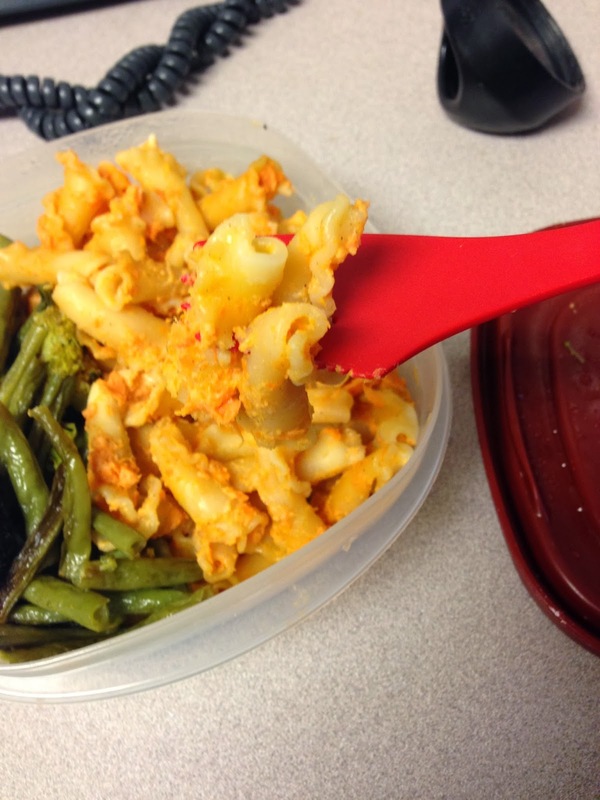 I added Parmesan cheese on top of the leftovers, and that was yummy too. Yum! 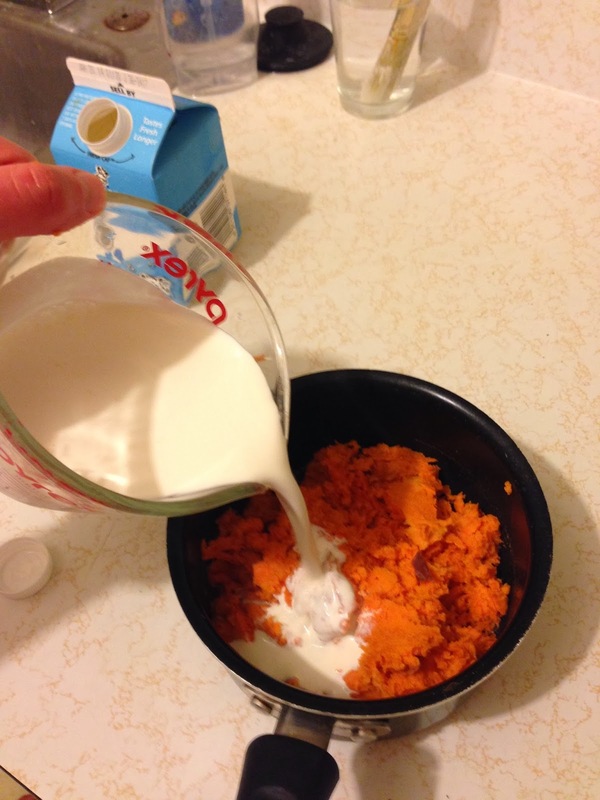 Sweet potato sauce? I have never bought a sweet potato before (I know..sad..). This sounds great!